A loner with a heart of ice and nerves of steel. A dangerous, fast gun for hire. Jaret Walker has only his honor and the reputation he’s built for himself to call his own. 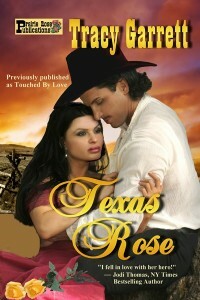 When a promise sends him to isolated Two Roses Ranch and Isabel Bennett, the woman he’s come to protect, all he can think of is making her his—in every way. But she’s the kind of woman a man like him can never have—for he’s a man with a past that haunts him, and with no future to share. Previously published as Touched by Love.